Now that you have finished your research about the various locations you will be hitting for satisfying your passion for skiing and snowboarding, have you thought about how you will be carrying your equipment to the locations? There is a lot of gear required to hit the slope, and the task of carrying your equipment might seem to be daunting. So, if you are looking for that ideal New Years ski weekend break and have no idea how to go about it, all you need to do is read on! Pack your stuff in an organized manner and travel without worries! If truth be told the actual task of flying with your equipment is easier than it seems. 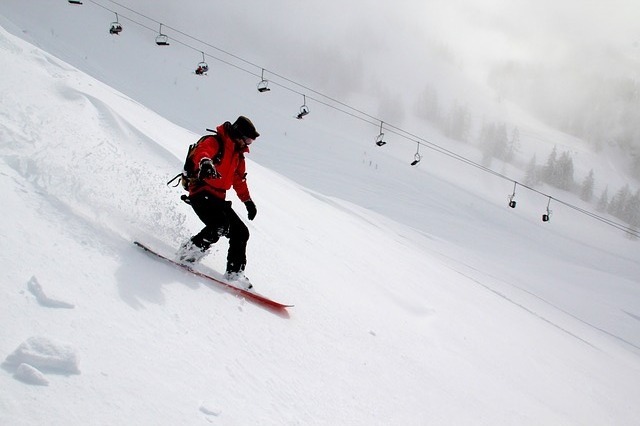 Airlines generally allow an individual to fly with the ski or the snowboard in a regular sized bag. A general rule of thumb to take care of is the fact that once you invest in a snowboard/ski specific bag checking into the airport and traveling becomes much easier. You can travel anywhere with your equipment. You are covered, so rest assured! Even though the actual traveling might seem to be stressful with proper planning and a few inside pointers you can do it like a pro. The equipment for skiing and snowboarding are heavier than traditional luggage thus it might seem a bit problematic, but all you need to do is dial in your baggage set-up. If you ensure this step before checking in at the airport, you will make your travel exponentially easier. Additionally investing in wheeled bags is also a great idea as it becomes easy to traverse airports. For skiers, you can go for a double skier roller bag to pack all your bulky items like outer and innerwear, miscellaneous ski and snowboard gear along with boots, outerwear, and poles. You can also go for a boot bag for packing your miscellaneous items. It will ensure that the packing and traveling are cost efficient along with avoiding extra hassles for when your baggage doesn’t reach the destination on time. Since boots are much harder to rent than all the other specialized equipment, you will save on the trouble in case of an unplanned surprise. Velcro the straps together or tie the laces and throw them into the boot bag. This will also make sure that your ski equipment is all packed and separate. Boots are awkward to handle so invest in a boot bag. Well, what can we say about that much important backpack? Backpacks have helmet carrying systems along with attachments for other miscellaneous items. A backpack is a handy tool to travel with and pack your things quick and in an organized manner. It’s the ideal for storing smaller items and electronics that are easy to misplace or lose. Ensure all the mentioned steps for all your packing problems while traveling with your skis and snowboards. Follow the steps and ensure a pleasant traveling experience.